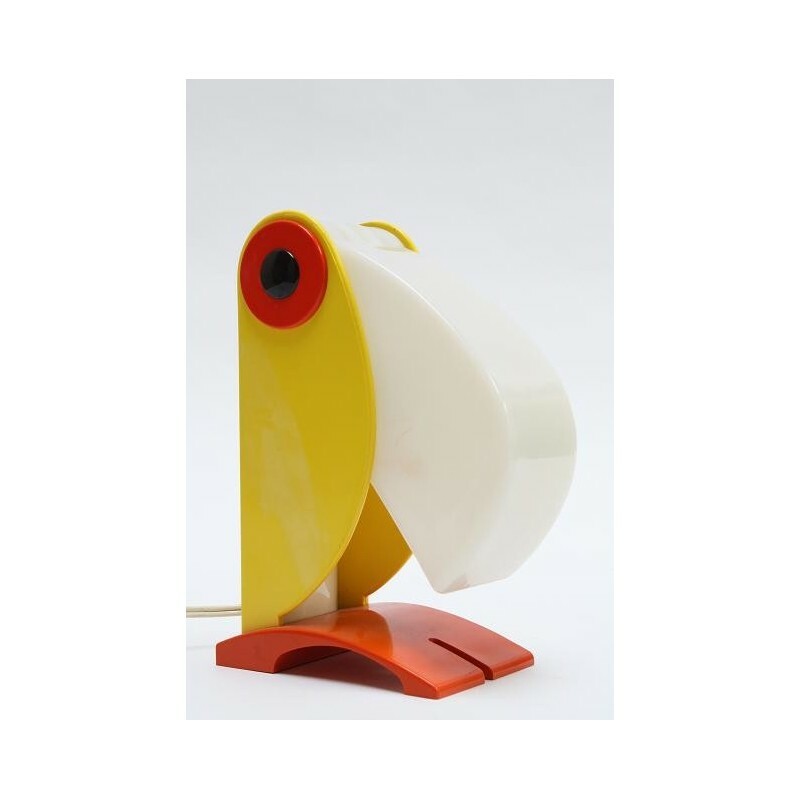 Plastic design table lamp. 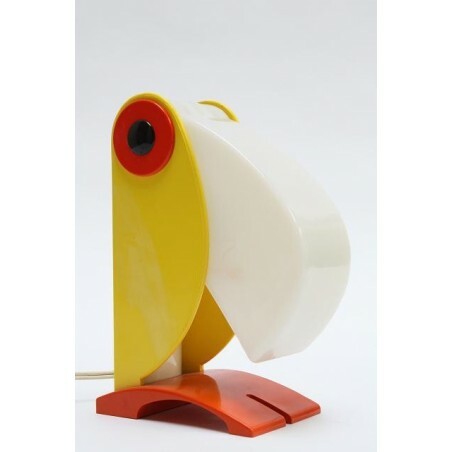 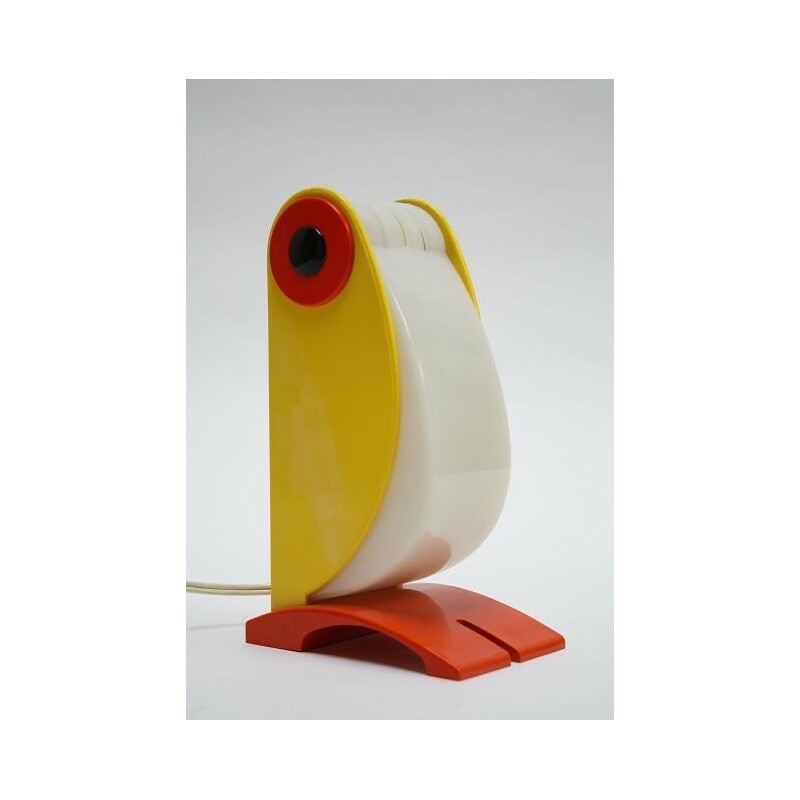 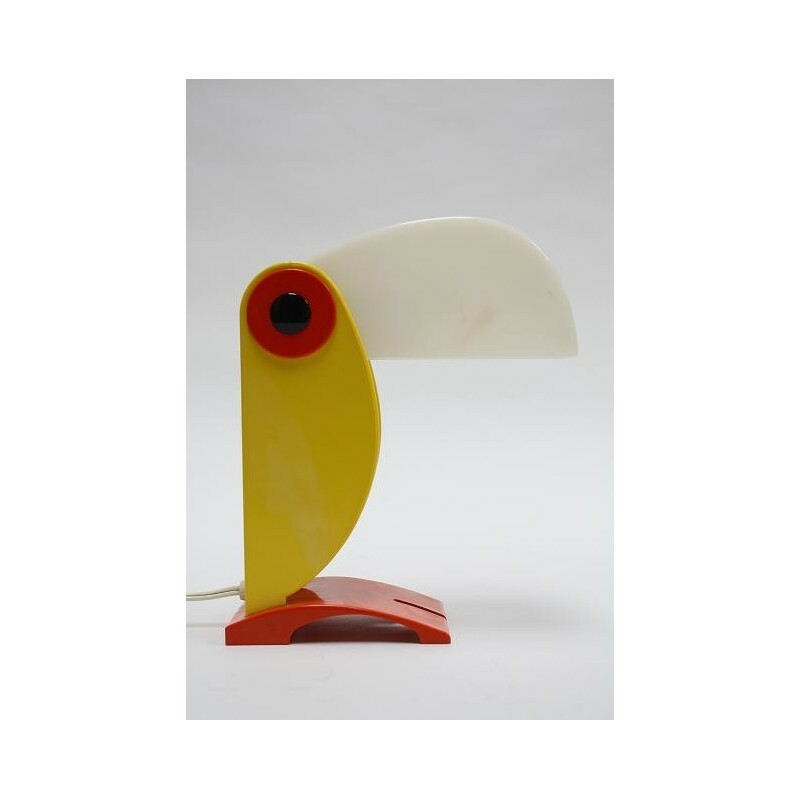 The lamp is designed in the shape of a parrot. 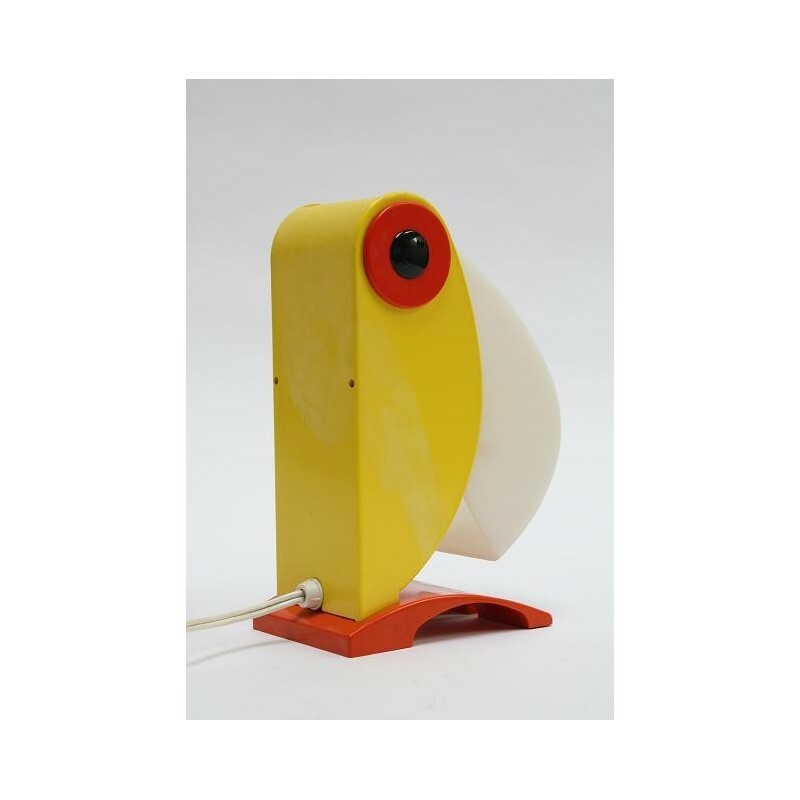 The lamp is not marked and is slightly discolored. 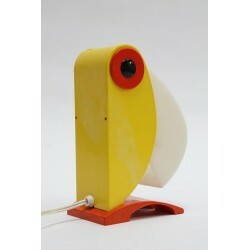 The size is 20.2 cm high and 8 cm wide.